The Maier Foundation, Inc. is a private, non-profit, charitable corporation located in Charleston, West Virginia. 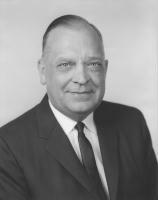 Philanthropist William J. Maier, Jr. established the Foundation in 1958. The primary focus of the Maier Foundation is on the furtherance of higher education in West Virginia and on the higher education of West Virginia residents attending colleges and universities elsewhere. The Maier Foundation makes grants to charitable organizations. Please note that the Foundation does not make any scholarship grants directly to individuals.